Two days ago, Grace Regen of The Guardian wrote about Snapchat's recent update in which a 'Discover' feature was added for all users. 'Discover' has ultimately placed the previously-controversial app in the running for the go-to news source for millennials. Regen acknowledges the fact that Snapchat has truly taken a long time to implement such an important feature to the generation that favors quick news - and quick news from social media, nonetheless. My generation has become the consumer of fast-paced information with accessible focus points, along with the ability to share opinions and findings with friends. Sky News recently revealed that only 18% of 16 - 24 year olds in the UK said they trust mainstream media to provide them with relevant information. There is an urgent need for a news source that appeals directly to millennials. Snapchat 'Discover' utilizes our liking for social-media-produced news. In fact, half of smartphone users consume their news through their mobile device - and Snapchat has recognized the importance of partnering with major news outlets to deliver information in the Snapchat-friendly, mobile-ready format. As the update stands now, the 'Discover' feature allows Snapchat users to "swipe" through various headlines from leading pop culture news sources: People, DailyMail, National Geographic, Cosmopolitan, and various others. A user can watch videos much in the same way they view Snapchat images - timed, fleeting moments of quick updates and interesting facts. Some 'Discover' partners, like National Geographic, allow users to participate in quizzes and choose certain videos to watch. And while I agree with Regen that Snapchat took too long to develop this feature, I don't believe that it's truly characteristic of all other quick news sources out there today. In fact, I think it's an incredibly unique feature that will pave the way millennials consume and appreciate news from this point forward. Snapchat is quick, easy, used by millions, and truly internationally accessible, unlike Facebook (which, according to Business Insider, is slowly declining in user growth), and Twitter, which only allows 140 characters to share news. We can first look at Snapchat's installment of global 'Stories' of events and holidays from all around the world. A few months ago, Snapchat allowed users to share their perspectives on events like Australia Day or the annual Kite Festival in India. These 'Stories' were transcendental examples of the way social media brings us closer as a global generation. Not only can we share our own lives with our friends, but we can also share them with the world in a quick and innovative format. The global phenomenon of Snapchat Stories can be closely linked to a theory I like to call cultural complexity. The time at which we view a news source, the environment in which we view it, and the people with whom we consume the news are influential in determining our relationship to that piece of news. The first part of cultural complexity is understanding and accepting that environment. For example, I viewed the Kite Festival in India on Snapchat in my home when I was on break from college. Nobody was around, and I had no real motivation to spend so much time on my phone other than to clear the screen from red numbers and notifications. I opened Snapchat expecting to see the usual mundane and typical alcohol-infused stories of my friends on the app. 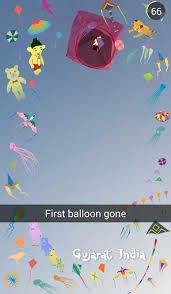 Instead, Snapchat greeted me with an over-200-second-long collection of pictures and videos of the Kite Festival - something I may not have known about otherwise. The environment I was in (alone, my bedroom) allowed me to focus solely on the app and appreciate the story I was being told. Another part of cultural complexity is the way a certain culture is presented. If I learn about Kim Kardashian's most recent controversial magazine photo shoot through CNN, rather than People, I may perceive the information differently. Also, a news source's choice to share one headline over another shows their ability to shape the media to their liking. Though subtle, an American-centric view of news restricts the consumer to American-centric opinions and perspectives. 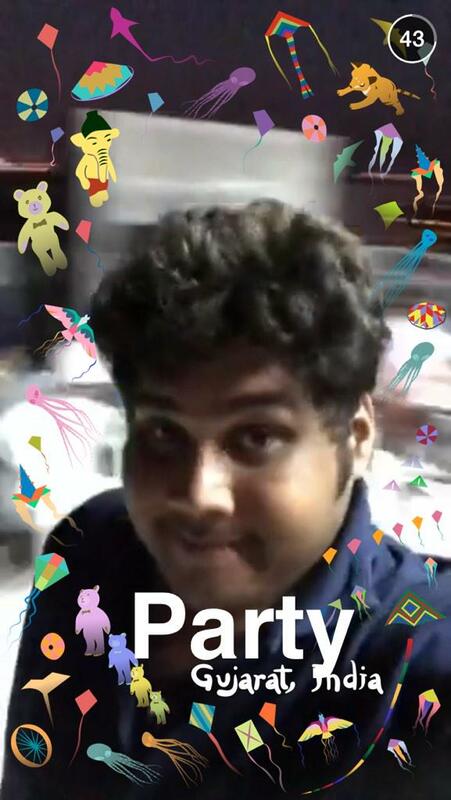 We can also look at Snapchat's initiative of 'Community Geofilters." The team of artists at Snapchat enjoy creating Geofilters for different places around the world: coffee shops in Venice, coastal towns in Oslo, Manhattan villages, etc. Now, Snapchat has created a website for artists outside of the Snapchat Team to create their own art for their own little portion of the world - a truly dynamic and global initiative that combines art and culture in the presence of a highly rated social media platform. Snapchat 'Discover' is just another testament to the company's desire for global unity, straying us from American-centric news and more towards worldly perspectives. From my research on the topic, all users of the app receive the same media sources with the same leading headlines. One country is not represented more than other, nor is only one topic available for viewing. Instead, 'Discover' offers a range of genres for the technology-savvy millennial to learn more about the world around her. So, Grace Regan, to answer your question - yes, the future of news does lie in the hands of existing media. But Snapchat is the leader of this movement, and millennials are along for the ride.